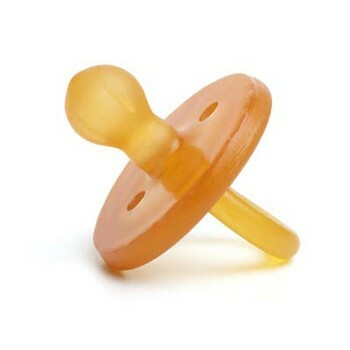 These all-natural, rubber pacifiers are a great alternative to silicone. Each pacifier is FREE of BPA, PVC, Phthalates, Parabens, chemical softeners, and colorants. The ecopiggy pacifier is 100% natural, helps promote breastfeeding, is a soft rubber, and molded into 1 piece. There's no place for bacteria to hide which means you can be confident your little one won't be soothing herself with something lurking around in her binky!